Clemente received his B.S. 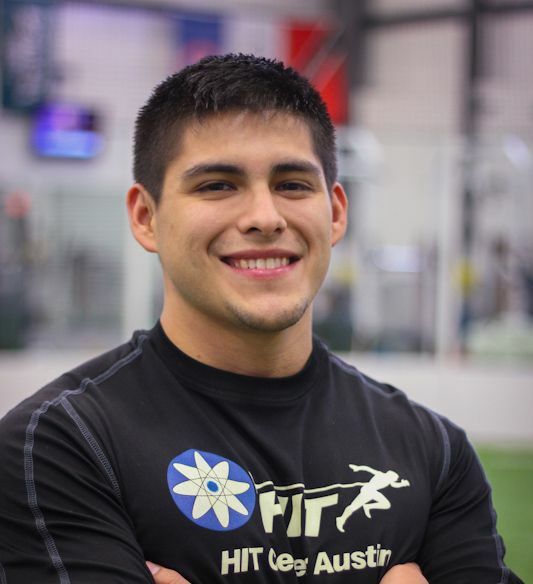 in Kinesiology and Health from the University of Texas at Austin in 2012 but has been a Strength and Performance Coach with HIT Center Austin since 2009. First joining the team as an intern, he began developing his craft as a trainer and expanded his knowledge through HIT Center’s revolutionary training techniques. Upon completion of his internship, Clemente was offered a permanent position as a Strength Coach for HIT Center Austin, where he has worked with hundreds of athletes ranging from middle school to the professional level. Combining his lifetime involvement in sports with his desire to learn, he has developed a great understanding for the body and what it takes to achieve total fitness. This has also prepared him to work with clients from a variety of backgrounds and fitness levels. Clemente is also a Certified Strength & Conditioning Specialist (CSCS) from the National Strength & Conditioning Association (NSCA).